We’re not ashamed to say that we get most of our weather prognostications from groundhogs. This year, rodent shadow magic forecasts an early spring, and we’re excited for backyards to soon be full of budding leaves, migratory birds, and readers relaxing in the sunlight with an exciting new novel. Based on pre-orders of print, audio, and Kindle eBook editions, here are 10 of Amazon readers’ most-anticipated fiction books out this spring, in order of release date. Praise the groundhog! 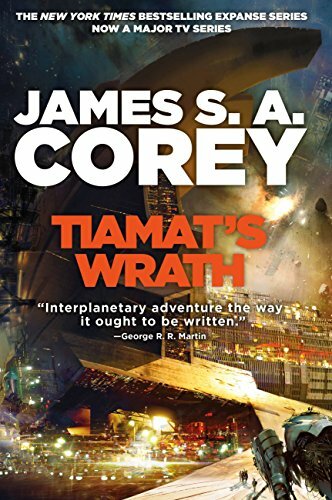 The wildly successful Expanse series from James S.A. Corey — the collaborative pen name for authors Daniel Abraham and Ty Franck — continues with Tiamat’s Wrath on March 26. In the future, humanity’s got its hands full: the Solar System is colonized, and thousands of “gates” scattered throughout the galaxy that enable interstellar travel offer a rich opportunity to expand the empire. One such gate leads to a dead star system, where evidence of an ancient genocide compels a search for answers. Elsewhere, the crew of the Rocinante pushes back against an authoritarian regime, with everything on the line. Don’t miss out on this epic space adventure. Bobby Hall, whom you may know as musician Logic, has an enviable resume at only 29 years old. He’s conquered the music world with chart-topping platinum records, critical acclaim, and a loyal fan base. 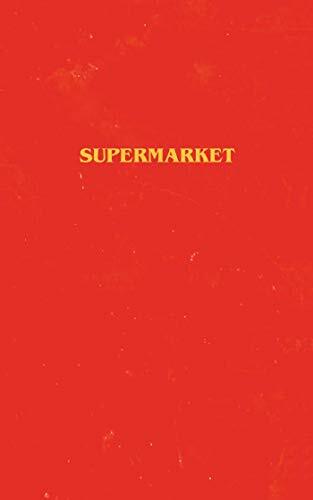 Now, the multipotentialite has his sights set on the literary world with Supermarket, a psychological thriller marking his debut. In it, crippling anxiety has led Flynn’s life on the path to nowhere fast, so he takes a normal job at a normal supermarket to course correct. But the job — and coworkers — turn out to be anything but ordinary. Catch Hall’s book on shelves March 26. 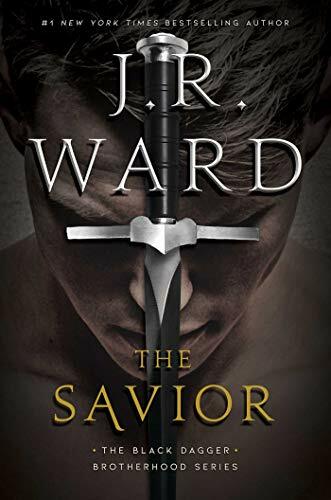 Fangs of paranormal romance are eagerly awaiting The Savior, next in J.R. Ward’s Black Dagger Brotherhood series. Murhder — the only vampire ever to be expelled from the Brotherhood — is on the road to redemption. Dr. Sarah Watkins — a biomedical scientist mourning the loss of her fiancé — learns of dark secrets that rock her reality. Things heat up as their fates collide, and together they can try to build a better future between their species. Take a walk on the wild side when The Savior lands on April 2. Amos Decker thought he had a bright future ahead of him as a pro football player, but a severe injury on the field put an end to his big-league career as soon as it began. As a result of the injury, Decker develops synesthesia and hyperthymesia — two rare conditions that enhance his ability to make associations and remember, which he puts to use in his new role as a detective. 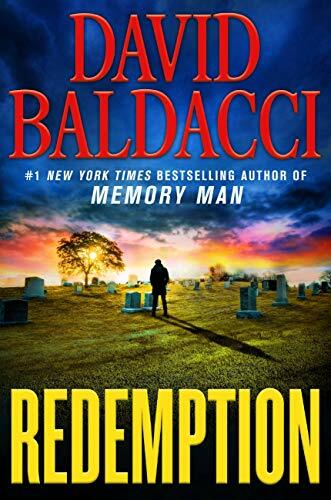 In Redemption, Decker questions the results of an older case of his and discovers a possible connection to a new crime he might still be able to stop. Decker’s previous adventure, The Fallen, held on to the No. 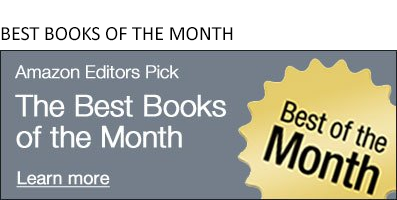 1 spot for Most Read fiction for four weeks straight. Remember to pick up the latest in David Baldacci’s hit series on April 16. 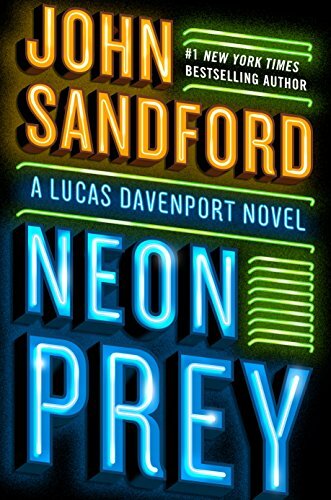 Lucas Davenport returns on April 23 in Neon Prey, the latest in the Prey series of thrillers from John Sandford. This time, Davenport is on the hunt for a long-operating serial killer that authorities have just discovered. Sandford’s previous Prey novel, Twisted Prey, went over swimmingly with readers: the book handily took the No. 1 spot on the Amazon Charts Most Sold list for fiction in its debut week, along with the No. 4 slot for Most Read fiction, and currently boasts a 4.7 average star rating from over 1,600 Amazon customers. With a response like that, little wonder that fans can’t wait for the next installment. “Gwen Proctor” is not her given name – it’s the one she assumed after escaping from her serial-killer husband with their child. 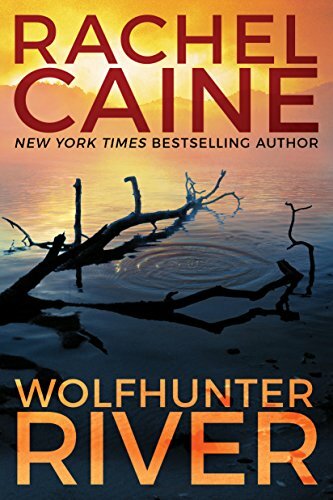 In author Rachel Caine’s latest, Wolfhunter River, Gwen is contacted by another woman in danger and is persuaded to help. But when Gwen arrives to the town of Wolfhunter, the woman is already dead — allegedly at the hands of her daughter. Sensing something isn’t right, Gwen is determined to get to the heart of the matter. Find out what happens when the third book in the thrilling Stillhouse Lake series releases on April 23. 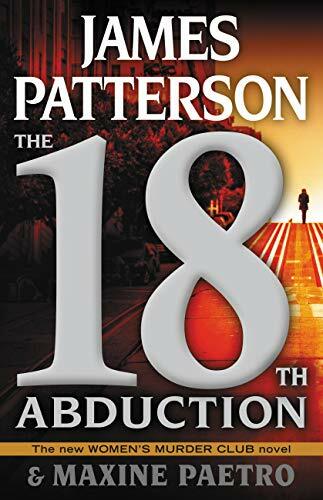 Perennial best-selling author James Patterson teams up with Maxine Paetro once again for the next hotly anticipated entry in the Women’s Murder Club series, The 18th Abduction. Three women, all teachers, go missing after a night out. One of them turns up dead. Detective Lindsay Boxer is tasked with getting to the bottom of it all. What she and bestie journalist Cindy Thomas discover is nothing short of astounding. Find out what on April 29 when the book releases. “Can't wait for the next one!” writes one Amazon customer in their review of Silence Fallen, the previous book in the Mercy Thompson urban fantasy series. 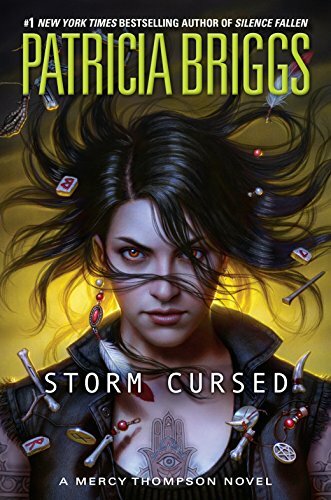 “I've read the previous ones too many times and I'm near desperate for some new adventures!” Hold tight just a little bit more, dear reader, as Storm Cursed is slated for May 7. In it, shapeshifter Mercy weathers the consequences of protecting the local folk from some unsavory characters. Now, she and her pack brace for a fight for their lives — and the lives of those they’ve promised to protect. Straight-laced FBI agent Kate O’Hara is tasked with finding a Silicon Valley billionaire gone missing that, for whatever reason, nobody seems too bothered to help locate. One person who may know more is currently catching waves in Hawaii. 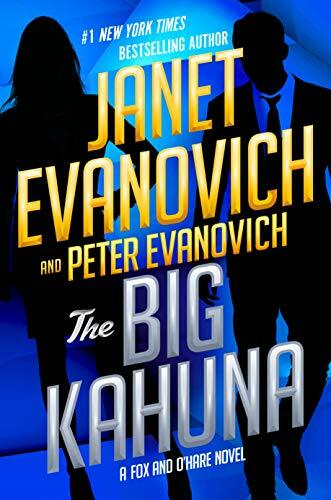 Oddball characters adorn the tropical stage on which this mystery plays out, the latest from best-selling author Janet Evanovich. Series fans may be sad to learn that Lee Goldberg, the series co-writer, is sitting out this Fox and O’Hare adventure. (Schedules! What can you do?) In his place steps Peter Evanovich, Janet’s son and long-time editor, which, to us, seems like as good a hand as any to help steer this ship. The USS Big Kahuna sets sail on May 7. 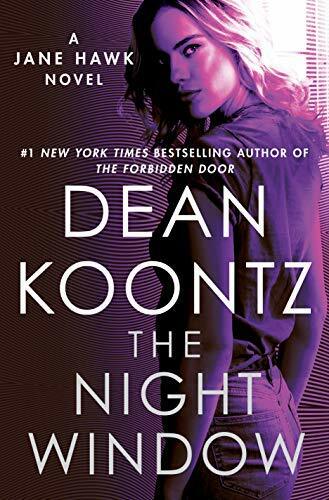 Everything is coming to a head in The Night Window, the climactic entry in the Jane Hawk series that started with 2017’s explosive The Silent Corner. Hawk’s pursuit to unravel a deadly conspiracy involving mind control is nearing its end, and she is ready to put up life and limb to stop it. “Koontz is a master story-teller and I am left wanting more,” writes one Amazon customer in their review of The Silent Corner. Not long to wait for more now — The Night Window is out on May 14. This article was originally published on Amazon Charts on March 13, 2019.